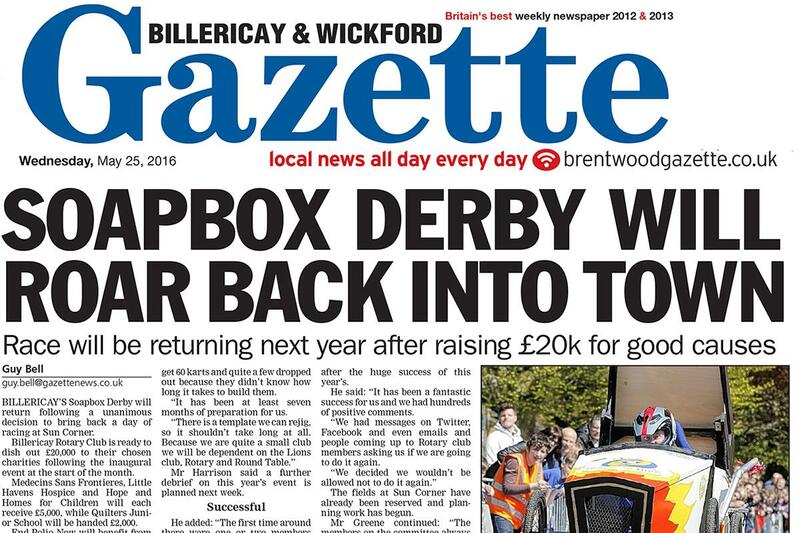 The Soapbox Derby returned to Billericay on May 1, 2017. Following the success of the 2016 event - we did it all again! For a look at the 2017 event - see the webpages under Billericay Soapbox Derby 2017. President Ed Harrison announced we'd do it all again. 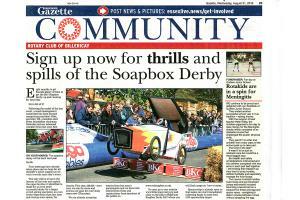 Following a unanimous decision at the club's Business meeting, the Soapbox Derby returned to Billericay in May 2017. A fantastic success for the club - the weight of unsolicited positive comments on Facebook, Twitter and email, and direct approaches by the public, meant we just couldn't let people down. over 5,000 spectators in 2016 - over 8,000 came in 2017? Interested in taking part in 2018? If you would like to be notified when entries for the next Soapbox Derby opens, then please click on the icon below to go to a page where you can enter. or copy and paste it into your Browser. Interested in Sponsoring a 2017 Team? Get Involved! Take a personal interest! 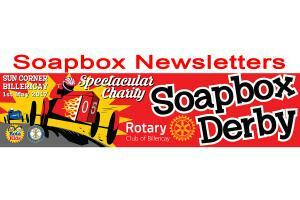 Sponsor one of the Soapbox Teams! Click on the link below to see the list of teams entering the 2017 Soapbox Derby to make a sponsorship donation. After ten months of assiduous, gruelling and heart-thumping talking, discussing, working and negotiating, on Monday, May 1, 2017, we can say proudly that the Soapbox Derby was a great success. 50% more spectators, and MUCH MORE FUN! 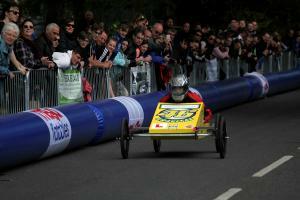 This page publishes the winners of the Soapbox Derby for all three categories, and the fastest soapboxes. It also lists the raffle winners and the winners of the Social Media challenge. 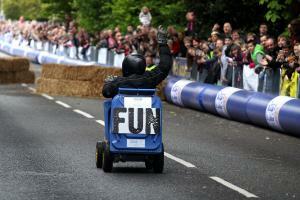 A team of three soapboxes heads for our Soapbox Derby from Lancashire. Join the Fun! Thrill the spectators! Build your own soapbox! 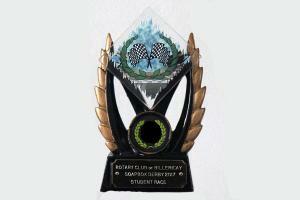 Apply for an Entry Pack to the 2017 Rotary Club of Billericay Soapbox Derby.